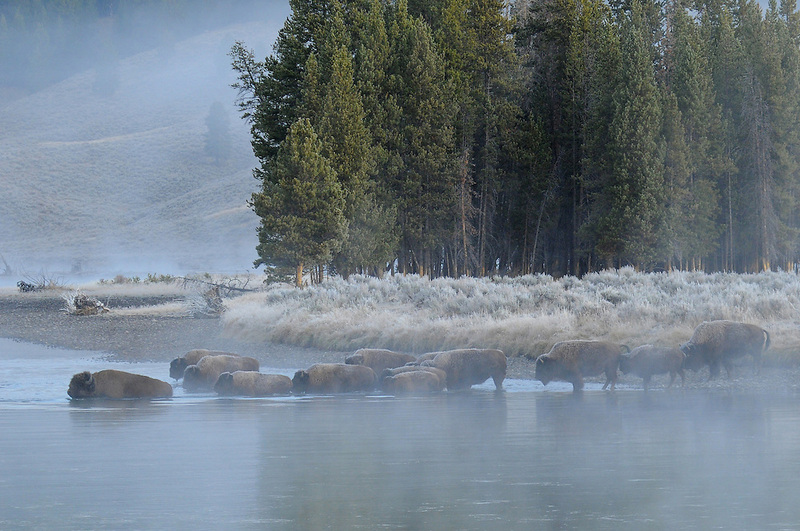 A bison herd makes an early morning crossing of the Yellowstone River in Hayden Valley. Many of the bison that summer in the Hayden Valley travel through the Mary Mountain Trail (also known as the "Bison Freeway") in autumn to reach their wintering grounds near West Yellowstone, Montana. "The Crossing" was featured in the Buffalo Field Campaign Annual Report for 2011.